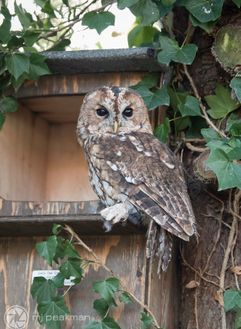 We carry out practical conservation, educational work, advise farmers and landowners on how to encourage owls. We also look after sick and injured owls brought in by the public or handed over to us by our local vets. 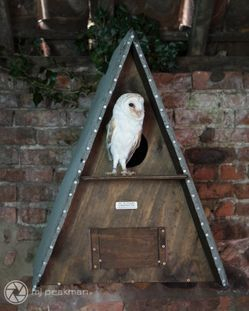 Our aim is to provide nest boxes for Barn Owls that have lost there homes due to barn renovations and provide Tawny Owls safe nest boxes in woods and on farmland. "It is the buyers responsibility to put up our boxes, we will be happy to advise you where to place them". 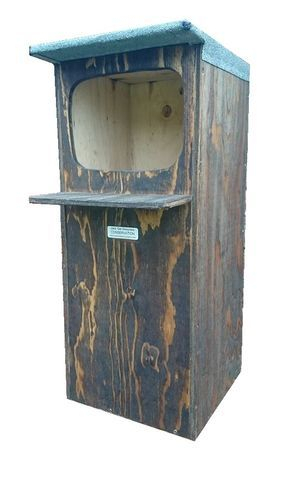 Our nest boxes are now build by ourselves using marine plywood and treated with a wood preserver. 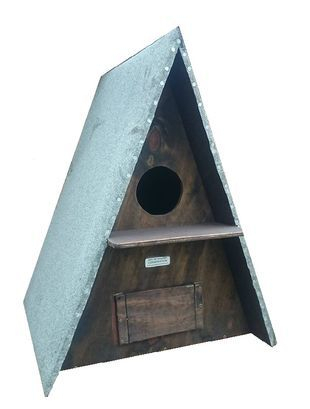 These nest boxes can be placed outdoors or indoors on tree's out in the open or on the side of buildings, or in a quiet barn, the roof will only be felted if for outdoor use. These boxes also have a cleaning out door at the bottom. (boxes can be screwed from the inside). These nest boxes are to be placed on a large tree on the outskirts of a wood or on a tree along a hedge row, the roof will be felted. (boxes can be screwed from the inside onto a tree).